Toddler beds are typically less expensive than a full size bed but are crucial in your child's good sleeping patterns and safety once they start to climb or crawl out of their crib or other baby bed. Some toddler beds will still use the crib mattress which means that you can use an existing mattress and move it across with your son or daughter as they develop. Security rails can be fitted ensuring complete safety and peace of mind while still offering your child the freedom to move in and out of bed as they want to. The other benefit of a bed for your toddler is that they take up less space than a standard sized bed. Safety is a major issue when choosing a baby bed or a bed for older children. 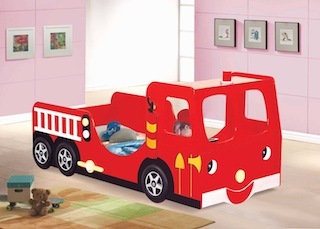 When kids reach nearly 1 meter tall they should progress into a toddler bed to prevent them from climbing over the side of the crib bed and potentially harming themselves. In terms of safety, beds are usually lower to the ground than the top of the side of a crib and you can always choose a bed for toddlers that has safety rails fitted on the side to prevent them falling or rolling out in the night. 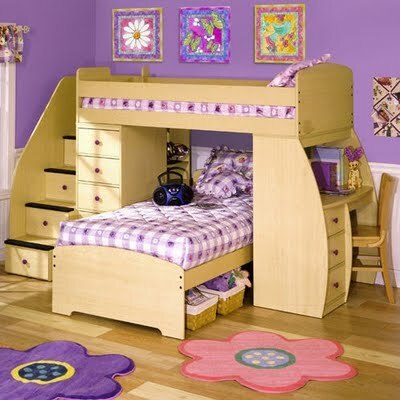 Not only are they smaller than standard beds but toddler beds are also usually less expensive. Not only does the bed itself cost less but it will usually be able to take a crib mattress which means that you can recycle your existing mattress without having to fork out and buy a new one. Compact toddler beds are smaller than standard sized beds. For those with limited bedroom space or simply looking for a practical and beneficial way to save important space in a toddler's bedroom this makes special beds for toddlers a must-have accessory. Bunk beds can also prove critical here, as the bed is often found on the top while the underneath can be given over to seating or storage. However, care should be taken to ensure that your child is safe in the top bunk of a bunk bed. Toddler beds are shorter than their full size counterparts. With less height for your son or daughter to have to navigate this means that he or she will be able to get in and out and move around in the bed freely and comfortably without having to cry out for assistance whenever they wake up. It does mean that you'll need to quickly establish a routine to prevent your child from waking you up all night but it will be worth it in the long run. When looking for the perfect bed for your small child you can really benefit by buying a toddler bed. Smaller in size and with a smaller price tag, you can also find stylish and modern designs that include all of the latest safety and security features that you would expect from such new furniture items. You can even let your son or daughter have a hand in choosing their very own bed.